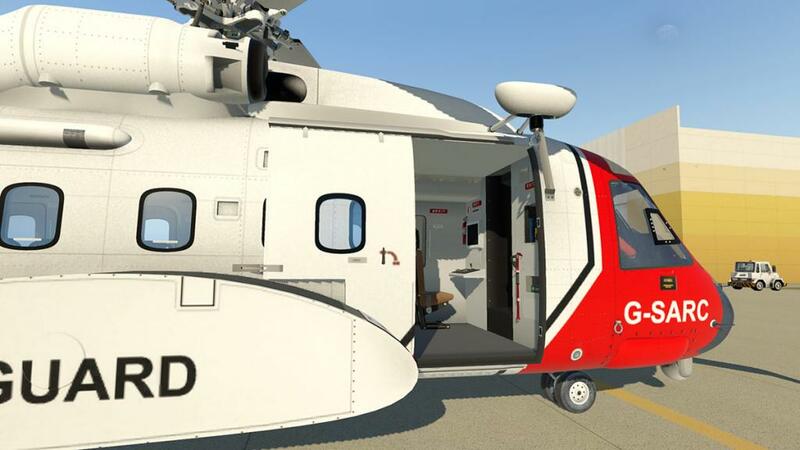 After only a week behind Dreamfoil with their Bell 407, here comes another X-Plane11 compatible aircraft in the DMO S-92. 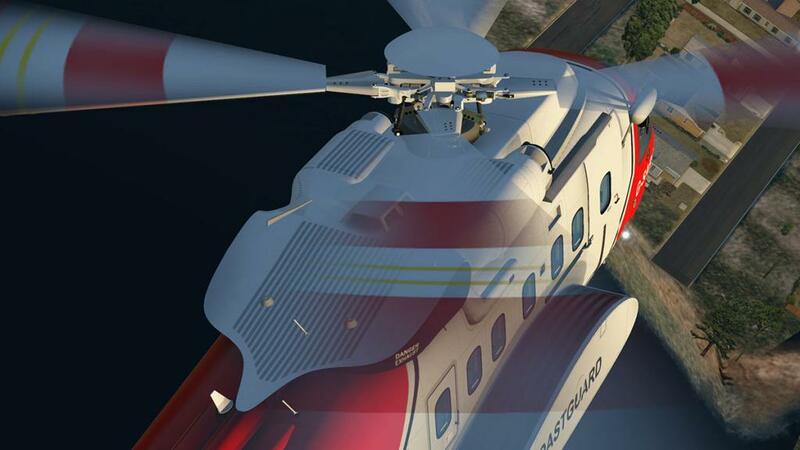 That is great news for the lovers of helicopters and it means more diversity in your vertical flight flying. 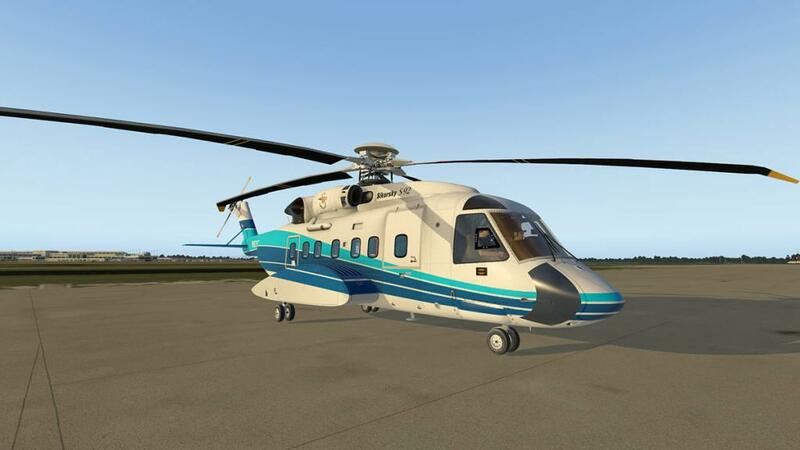 DMO's version of the S-92 Sikorsky came out in 2014 after two years of development and was a excellent from the start (review : Sikorsky S-92 by DMO Flight Design). This is a heavy helicopter and it takes a few flights to adjust to it's particular flying dynamics. 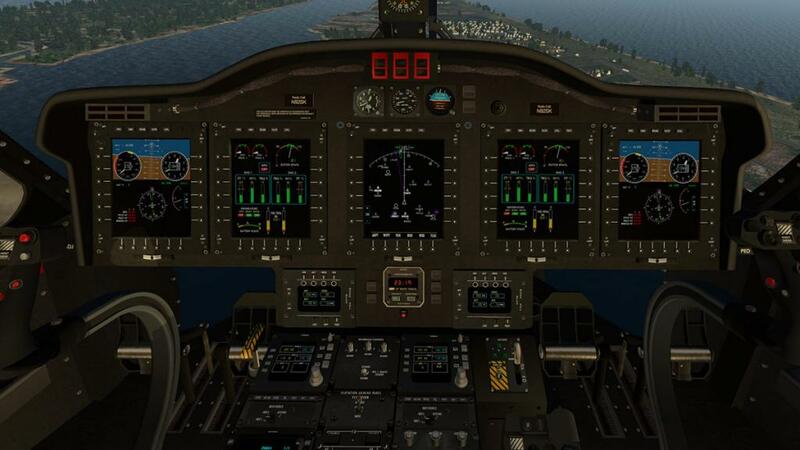 Once you feel and get the right controllability then it is a great machine to fly. 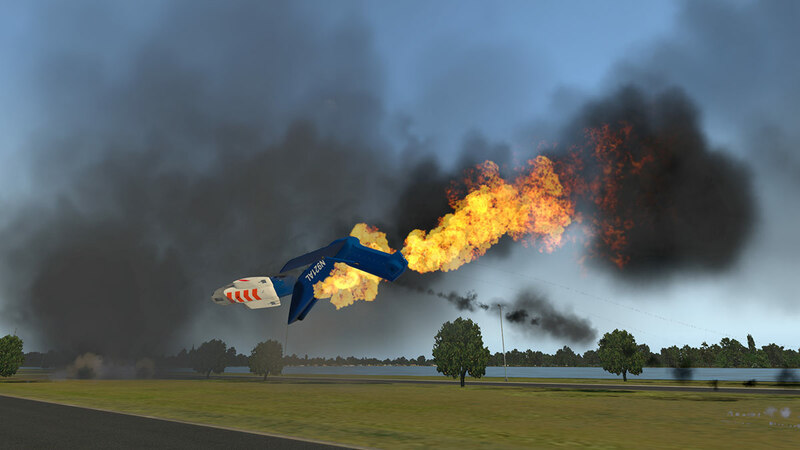 I did however approach this X-Plane11 upgrade with a little trepidation. 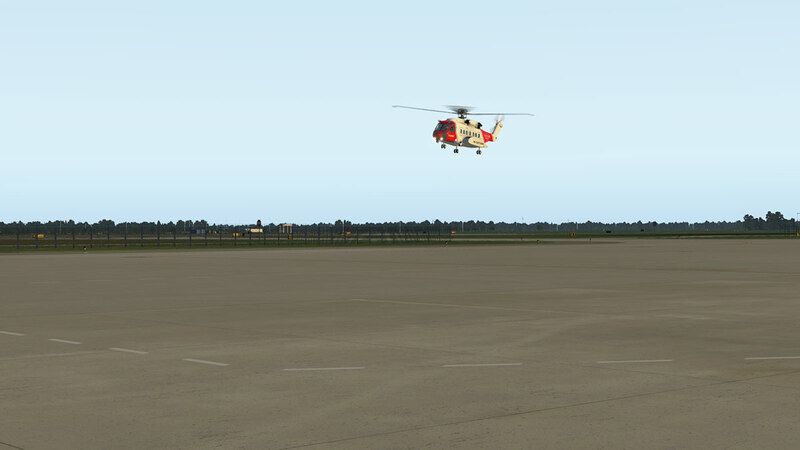 My first forays into X-Plane11 helicopter dynamics were to say the least a little wonky... mostly on takeoff (aircraft trips badly very quickly to the right) and of course landing. But you quickly iron out your rusty feel and learn the new way of countering the forces. I think the new feel is because X-Plane11's thrust ratios are different, but more importantly is that flight model responsiveness is different as is the mass and scale. 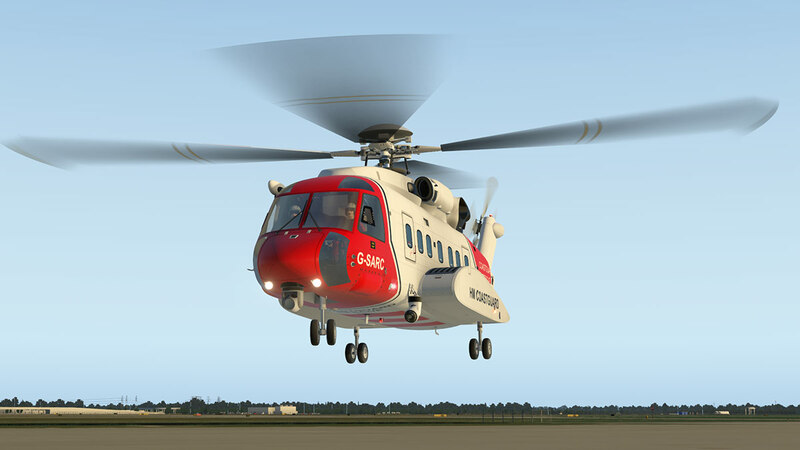 You have to of course adjust to these new parameters but the XP11 S-92 has also been adjusted to the new modelling as well. But get used to the new feel and it is more realistic. 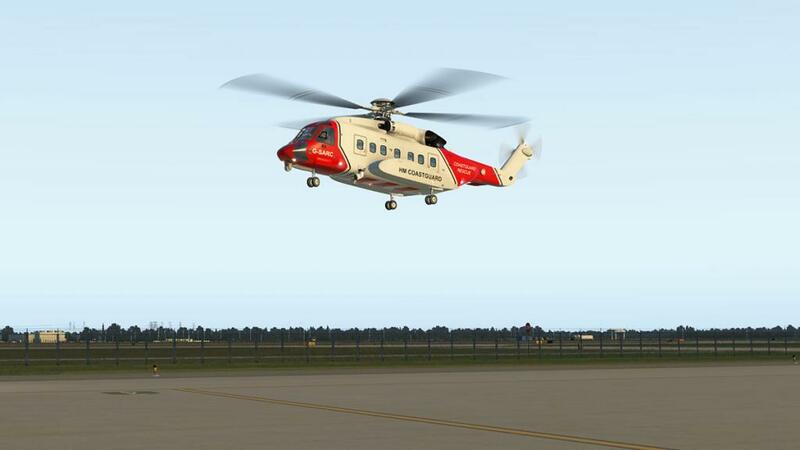 My fears in the end needed not have been so large, because the S-92 does fly and can be flown far easier, more realistic than the X-Plane10 version... in other words it is easier to fly. 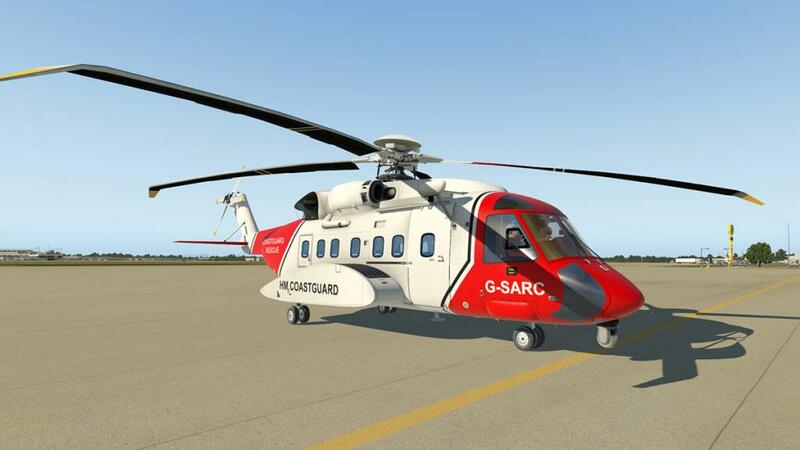 The standard S-92 is the most popular for passenger or mainly Oil Rig transfers with15 seats. The SAR version has a NightVision Camera and NightSun Searchlight. The interior is medical with hoist. 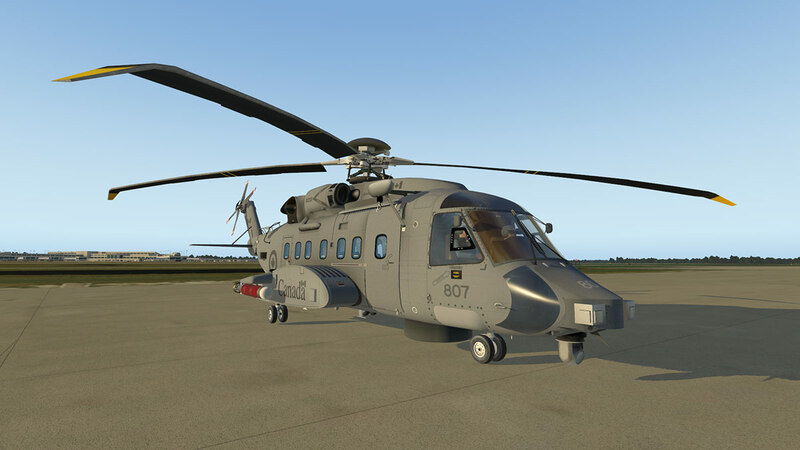 This is the Canadian multi-role shipboard helicopter CH-148. equipped with devices to search and locate submarines during ASW, and is equipped with countermeasures to protect itself against missile strikes. 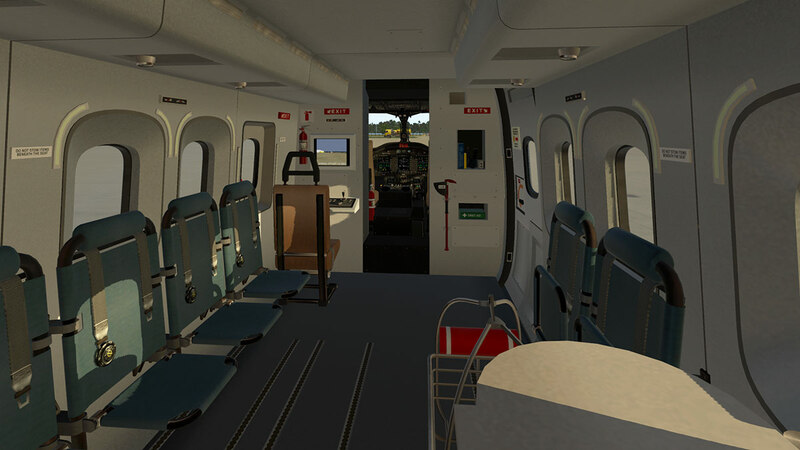 This version has the SAR interior, but with a console position as well with working (moving) camera display. 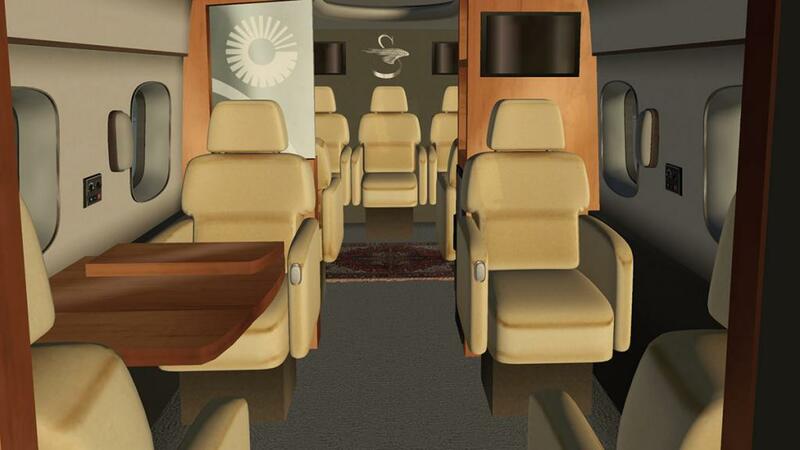 The VIP is the executive version of the fleet. Club chairs and lots of nice wood dominate. This is Trump's coming new toy. 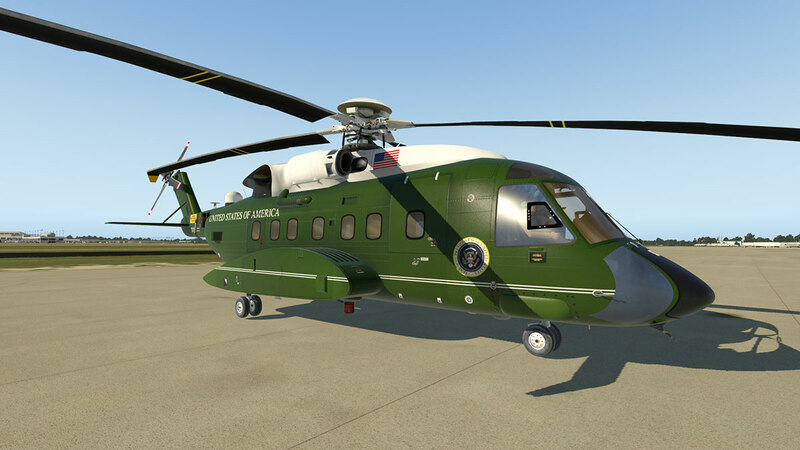 The POTUS is upgrading from the current SH-3 Sea King's to the new VH-92. 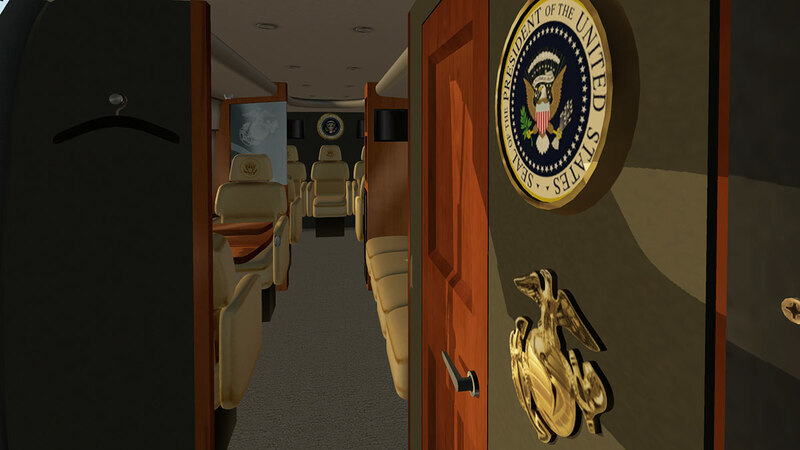 The interior is very Presidential. 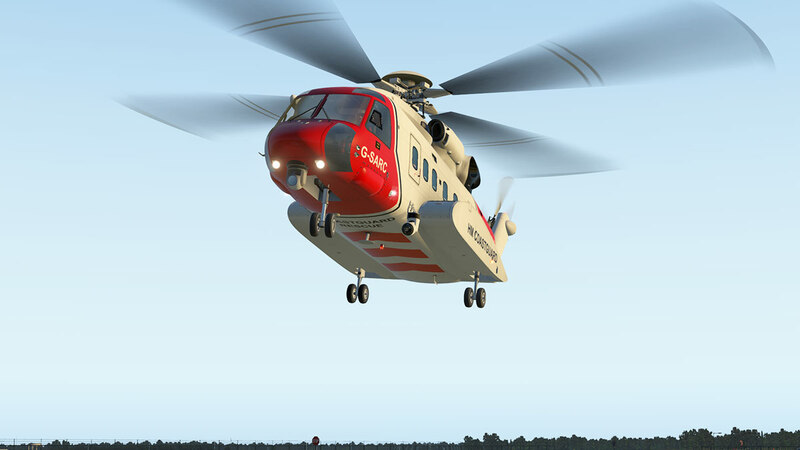 The S-92 looks far better in X-Plane11. The textures and maps have been redone to bring the best out of the aircraft. It does look sensational, but the cockpit is still a little dark. 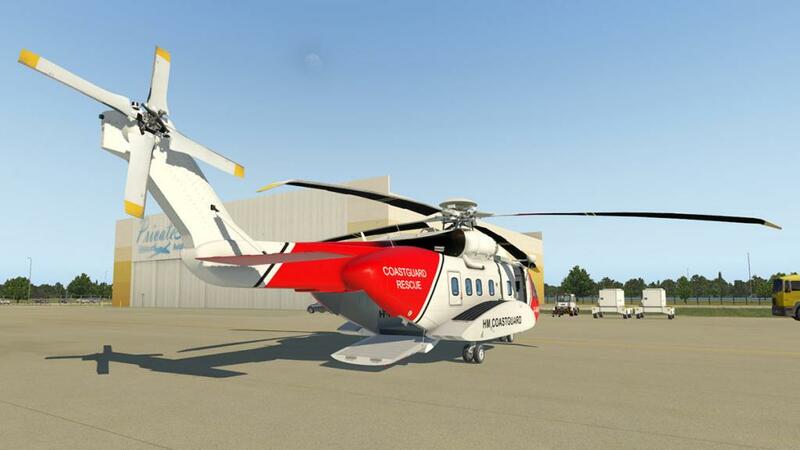 "A new plugin increases the effective strength of the rotor brake, allowing the brake to “stop” the rotors from spinning while the main engines are at idle. 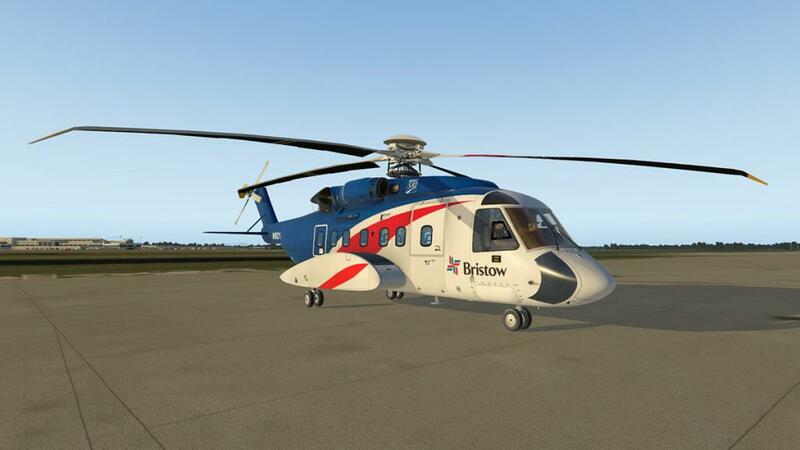 Props seem to never quite stop completely in the sim, but they will now slow down to less than 2% of the designed rotor RPM with the rotor brake applied and both engines running." 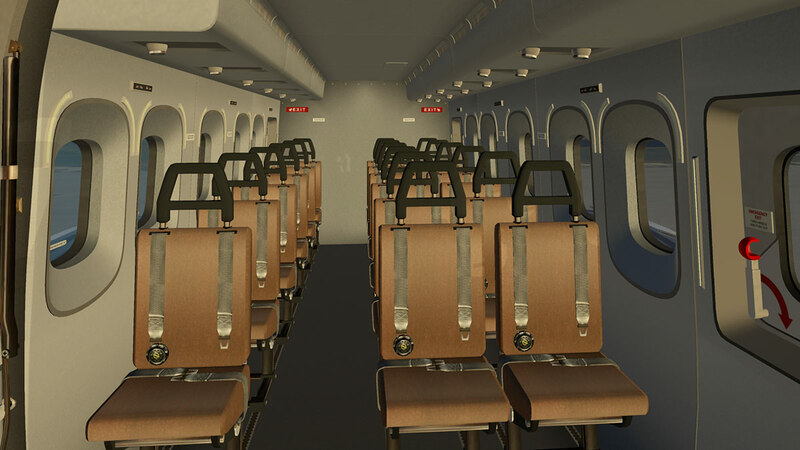 Glass is excellent and more highly realistic as also are the metal parts of the aircraft (note the door slider). The APU (single) exhaust appears now on only the left side of the aircraft. 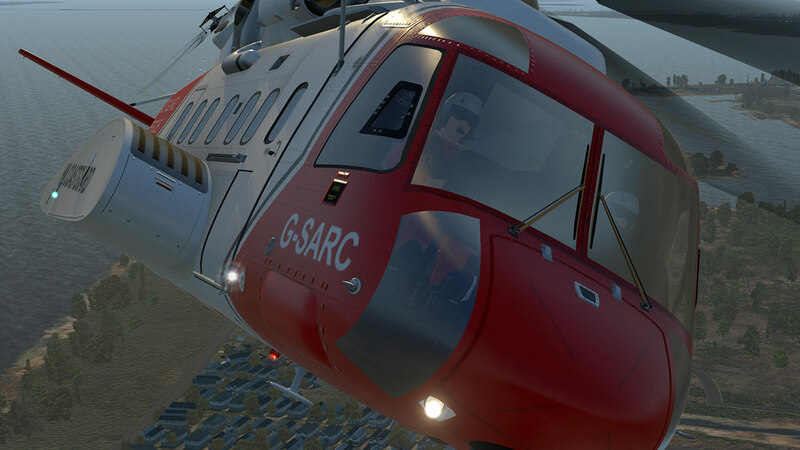 There are a new gear deployment sounds, low rotor alarm, master caution alarm if you can hear them above the rotor noise. 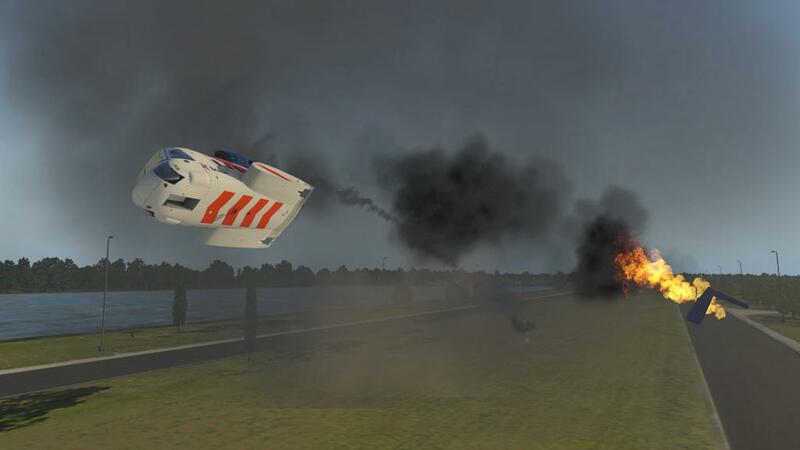 All new sounds will move to the newer FMOD sound engine as X-Plane11 progresses to the even more better sound to come. The old 2d panel is gone. 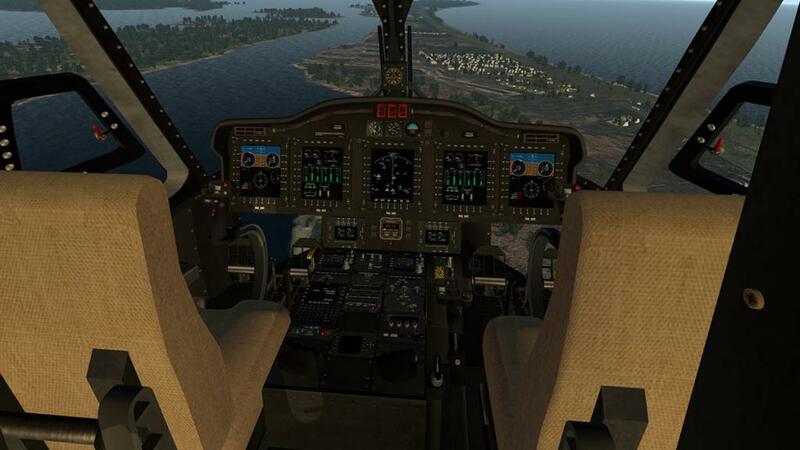 In reality there is not much use for a 2d panel in helicopters, you need to move and see down (or up) for landings and winch work, so in a way a 2d panel is useless and in reality X-Plane has moved on from 2d panels. 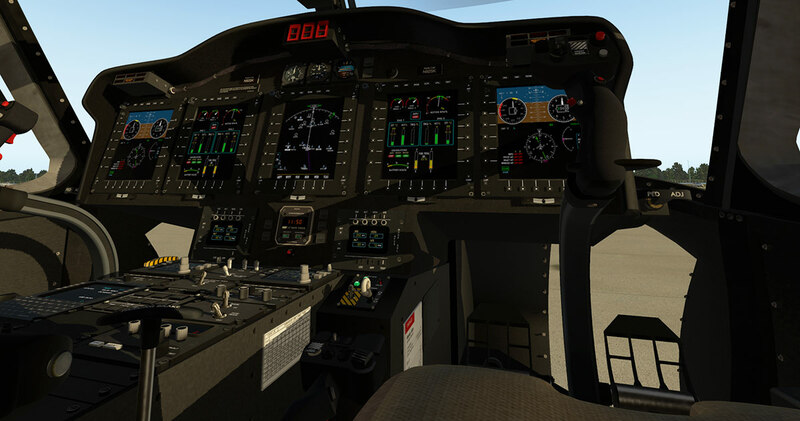 As noted it is a very dark cockpit in the S-92, but XP11 features do bring in a little life in here. note the lovely metal switchgear but you do miss the shiny display panel and glass reflections that is on most aircraft now. 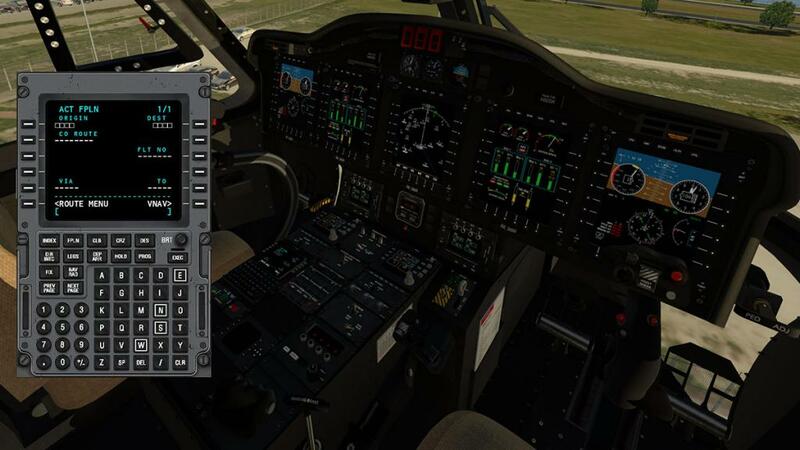 Automatic Flight Control System (AFCS) coupled with the Flight Director (FD) is very good (above right), if a little difficult to slip into and then switch out back to manual flight. But you learn and easily master it, it does however save a lot of wrist RSI. “Buying the farm” is now more dramatic than ever... when you go down now, you really go down... if you know what I mean. 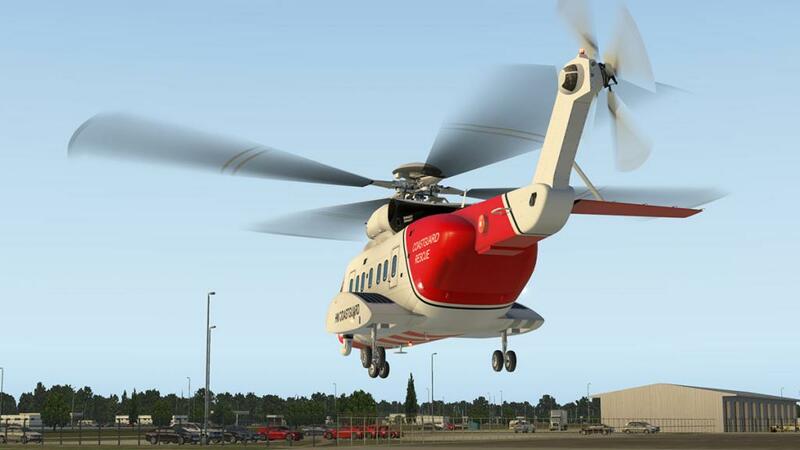 These big machines are always very dramatic and there is with this version a nice if more complete wholeness feel about the helicopter. Side and rear ramp doors open, but no GPU, which would be nice. 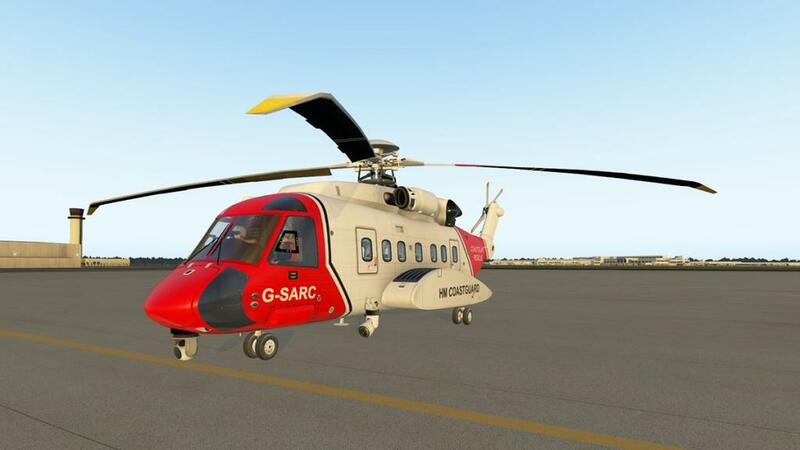 In most areas this is a cosmetic overhaul to meet the new X-Plane11 features, as basically the main aircraft, systems and features stay the same. 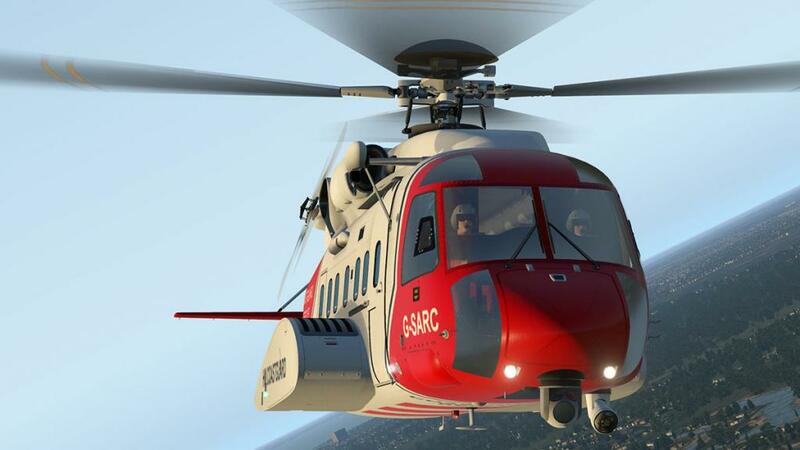 But in noting that the S-92 does feel a lot more fresher, more complete and flies far better as well. 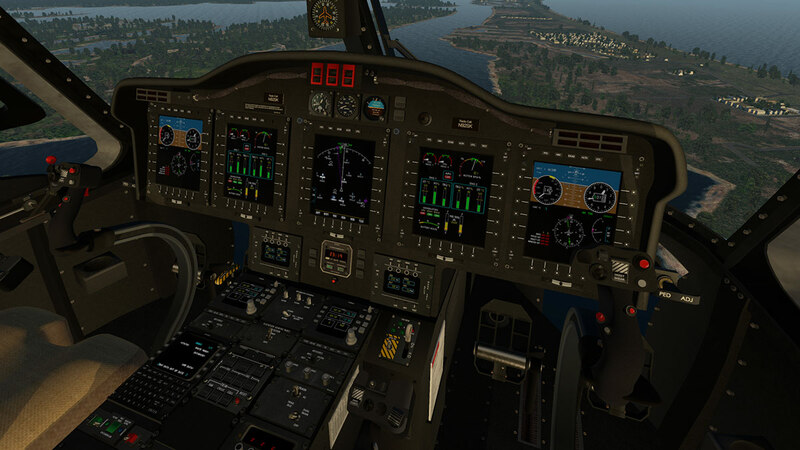 X-Plane11 is good to the aircraft and that is not a bad thing at all and that alone should attract more users to fly the machine and undoubtedly enjoy it. 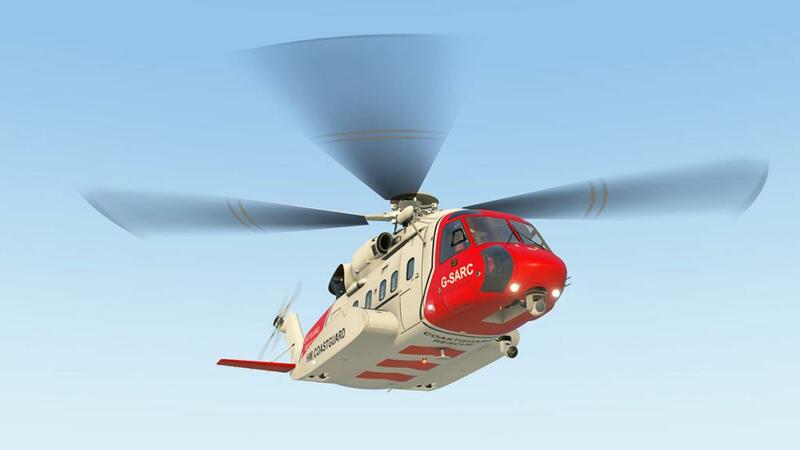 I certainly felt more involved with this S-92 far more than I remember with the original. 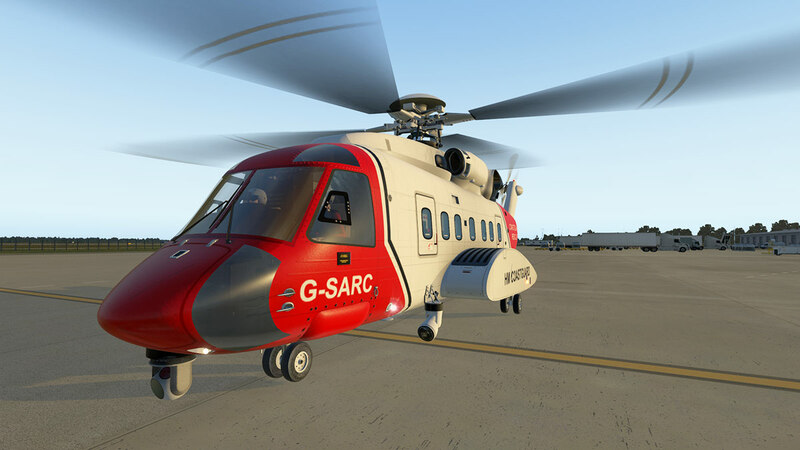 There are a lots (loads) of different variants and liveries (no new liveries in this upgrade), but also no menus or pop outs we use as normal, if you want a certain function you change the aircraft and don't go to a menu... it is that sort of deal. But a menu would be nice as would reflections on the instrument panel displays as both are part of the norm today. 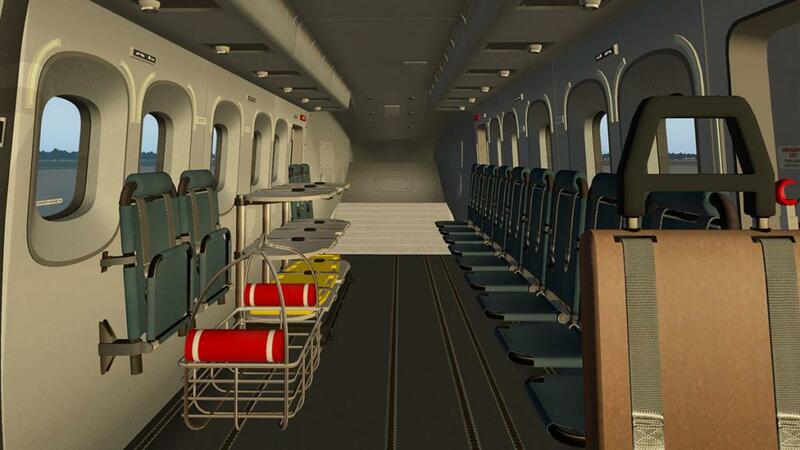 Like most new upgrades to X-Plane11 there is an upgrade price if you already own the older versions. 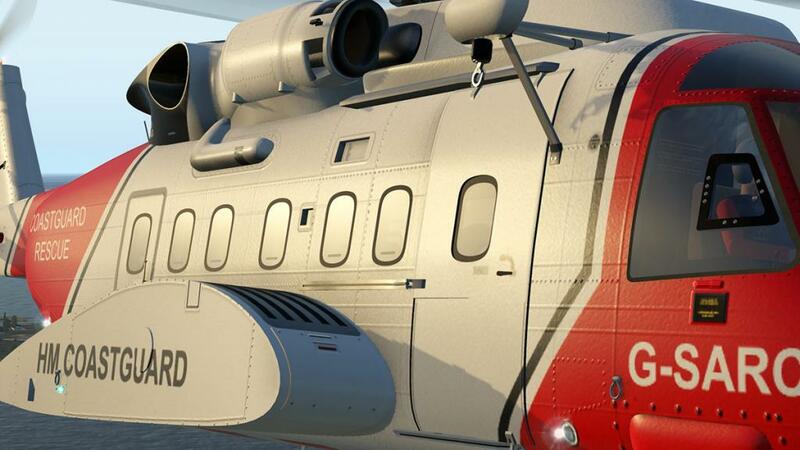 In this case the upgrade to X-Plane11 is US$15 and if you look at your original S-92 invoice at the store there is a coupon code to get the upgrade deal. Is it worth the upgrade cost. 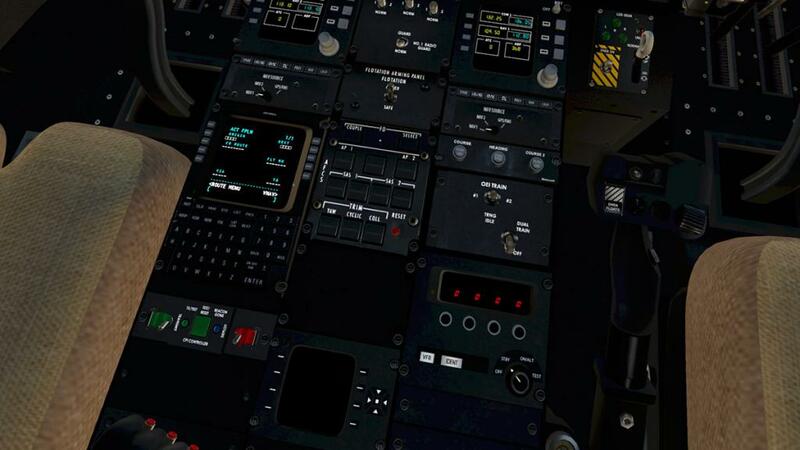 Well certainly it is as it is a great machine to fly in X-Plane11, to me personally it does feel better in the new X-Plane environment than it did before, so not only is it better in XP11 but I feel you will get more flying use out of the aircraft as well... so that has to be an all round good deal. 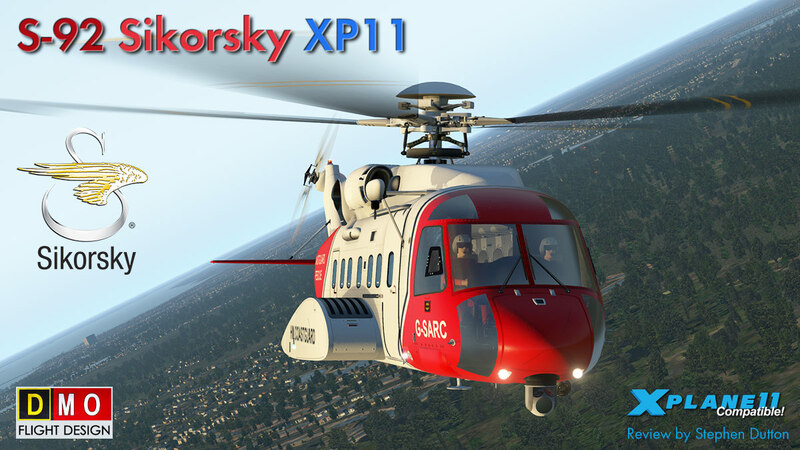 Previous X-Plane10 owners can upgrade to this new XP11 version for only $15. 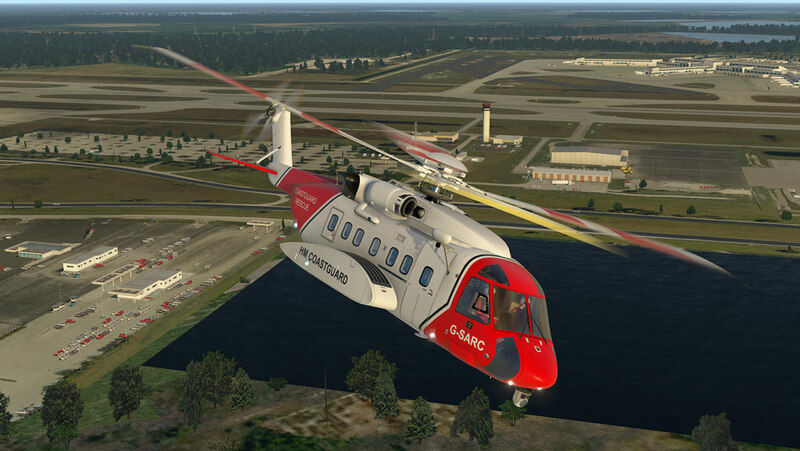 The coupon code for the discount can be found in the original DMO S-92 invoice on your account at the X-Plane.Orgstore. 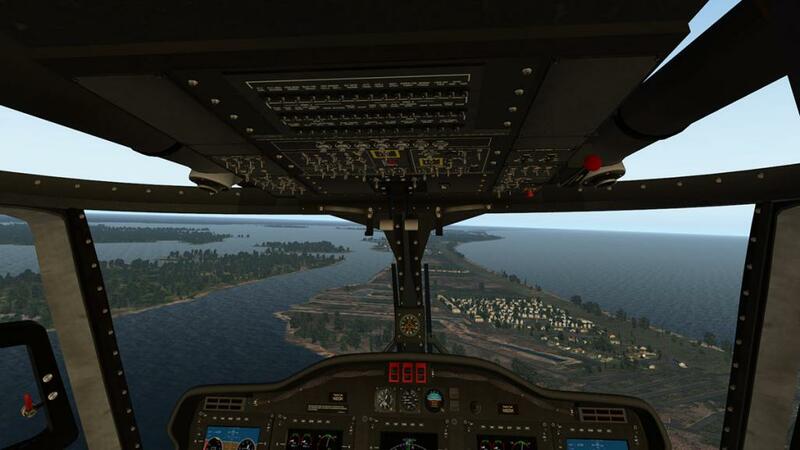 Installation : Download file size is 221.30mb to your X-Plane - Helicopter Folder. Installed file size is 782.20mb.